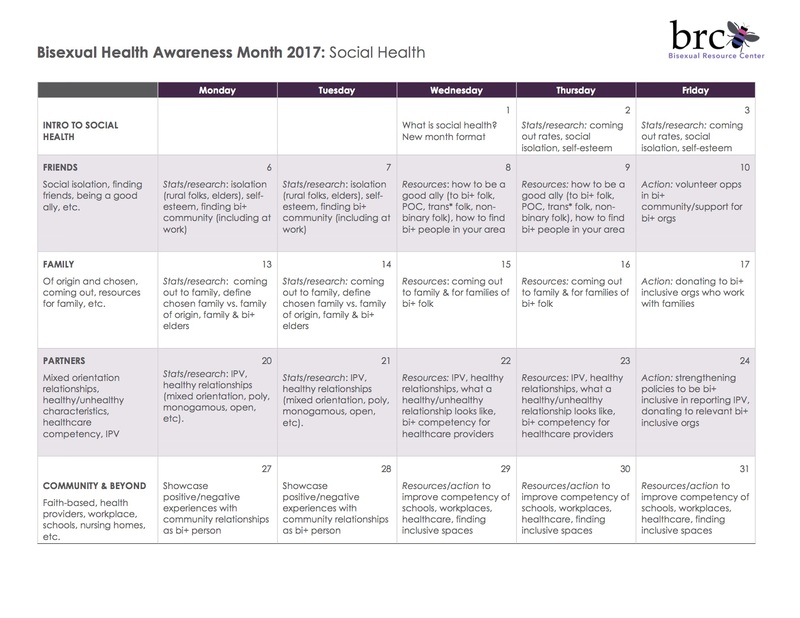 The new format for Bisexual Health Awareness Month breaks down the topic of Social Health into four focus areas (Friends, Family–chosen or of origin, Partners, and Community). Within each week, we will shift from a discussion of statistics/research, to resources, to action. We aim to highlight intersectionality throughout the month.